Lost or forgot Yahoo email password? And even you forgot alternate email, security questions or changed phone number, don’t you worry, follow this post to get 4 quick and easy ways on how to hack/crack Yahoo email password. 1. 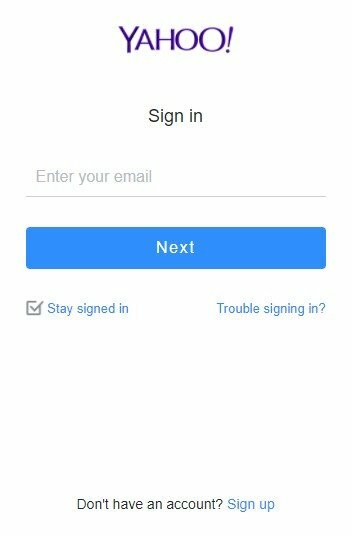 Go to Yahoo official login site and click “Trouble signing in” to proceed. 2. Enter your mobile number or email address and click “Continue”. 3. Click “Yes, text me an Account Key” and enter the code you received. 4. You’ll be prompted “Success”, click “Create a new password” to change a new password for your Yahoo! account. 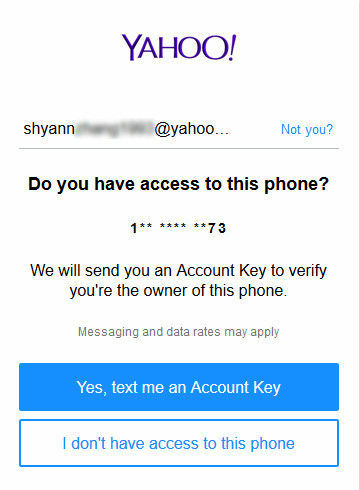 Note: If you don’t have your phone at hand and click “I don’t have access to this phone”, even you remember the correct mobile number, Yahoo mail password cannot be reset online. You can visit Yahoo help site to answer Yahoo ID, alternate email address, security questions and more information to get back in. We use Chrome or Firefox browser frequently in our daily lives. Usually, we can sign in to websites or accounts automatically as the Auto Sign-in option is enable by default in the browser’ advanced settings. If you have ever use a browser to login your Yahoo! 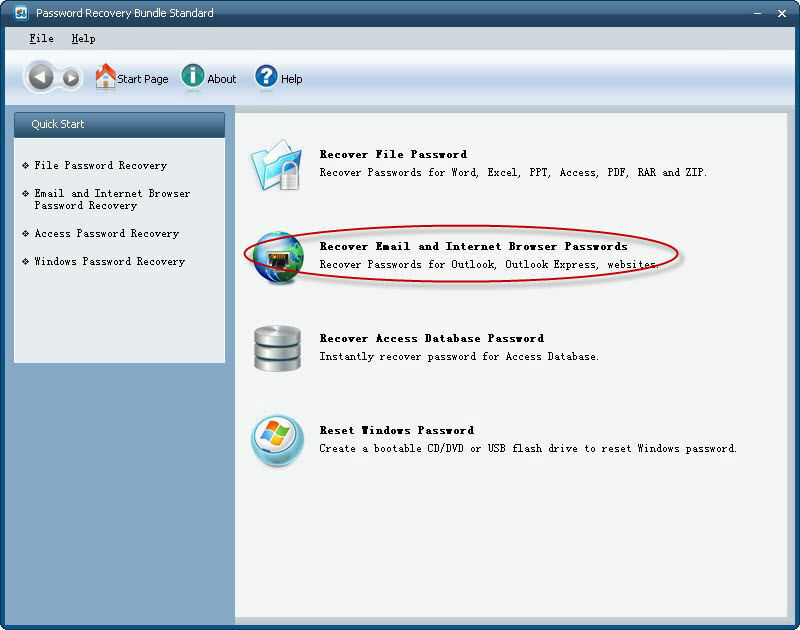 account, you can retrieve lost/forgotten Yahoo email password by the following steps. Let’s give an instance for Chrome browser and the operation procedure for Firefox browser is similar. 1. 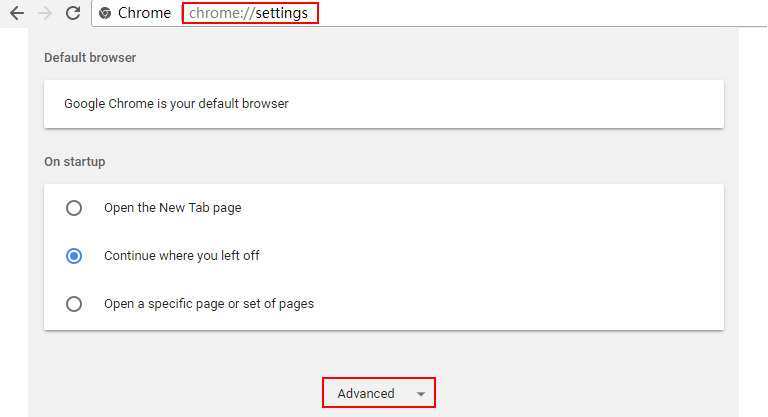 Copy and paste “chrome://settings/” on your Chrome search bar and click “Advanced” to show advanced settings. 2. 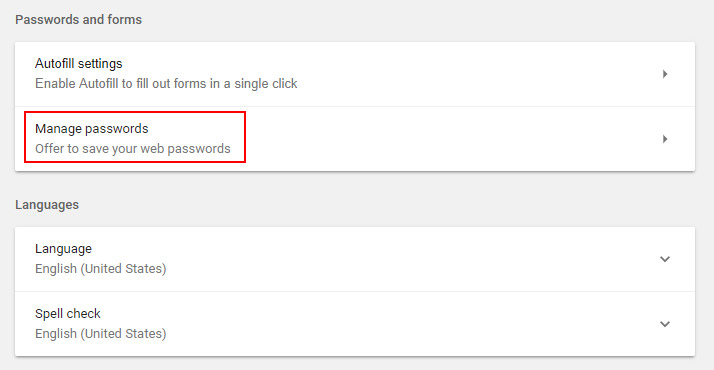 Scroll down to click “Manage passwords” under "Password and forms" section. 3. 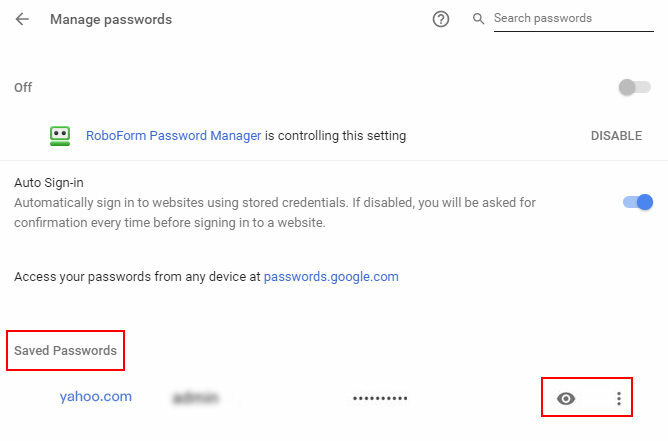 All websites and accounts passwords saved in Chrome browser will show up. Find your Yahoo mail account to view the password. If you don’t remember Yahoo security question answer or Yahoo website isn’t displayed in Chrome/Firefox browser, don’t be panic, you still have a chance to get back Yahoo mail password by using a professional Yahoo mail password finder - Password Recovery Bundle. This powerful program can thoroughly scan all the caches left when logging in Yahoo! account and extract stored credentials from Internet Explorer, Firefox, Chrome, and other browser to recover email password for Yahoo effectively. Free download and install this amazing program to see how it works. Run the program on your Windows computer. 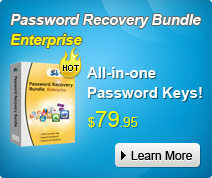 Select “Recover Email and Internet Browser Passwords” >> “Internet Password Recovery”. 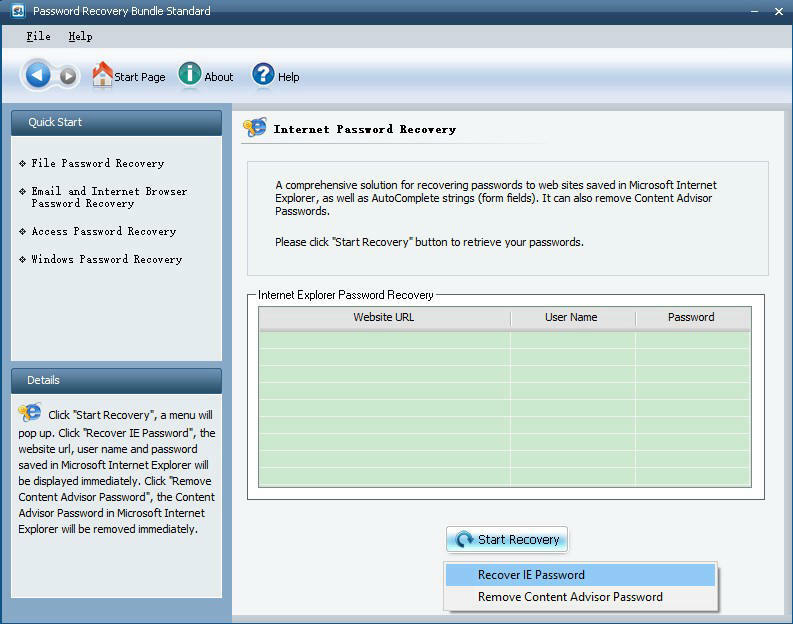 Click “Start Recovery” and select “Recover IE Password”. It will display your Yahoo mail password soon. This post has shown you 3 easy ways on how to break Yahoo email ID password. 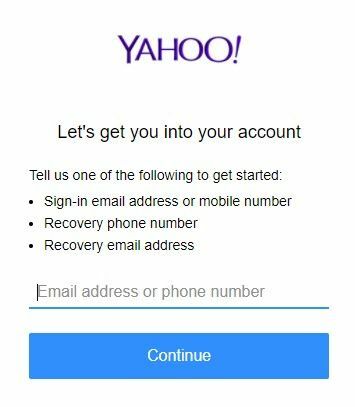 If you have tried them one by one, you’ll find that using a Yahoo mail password recovery tool is the most quick and effective method. And if you have any further concerns, please just feel free to discuss in the below comment section. 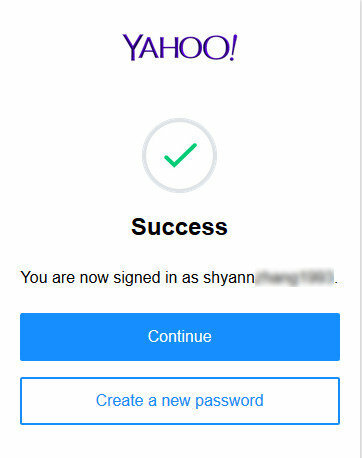 [SOLVED]Forgot Yahoo ID and Password, How to Recover?